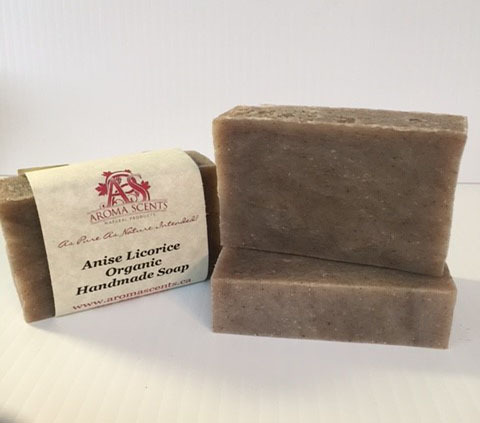 A yummy smelling soap with the wonderful aroma of black licorice. Enjoy the luscious benefits of a rich olive oil, coconut oil and organic shea butter base. Provides a beautiful lather to moisturize and gently cleanse your skin. Excellent for those with sensitive skin conditions.